Now that the wedding is over and the vows have been said, what’s next for a newly married couple? One of the big steps in the post-wedding time for many brides is changing your last name. However, just getting a marriage certificate doesn’t mean you’ve accomplished this. So, we’ve compiled a guide on the steps to take to change your name after marriage. We’ve also included some tips to remember when beginning this process. Why change your name after marriage? Everything about the name change process starts with your social security card (well obviously after obtaining a marriage license), so this is the key place to begin. 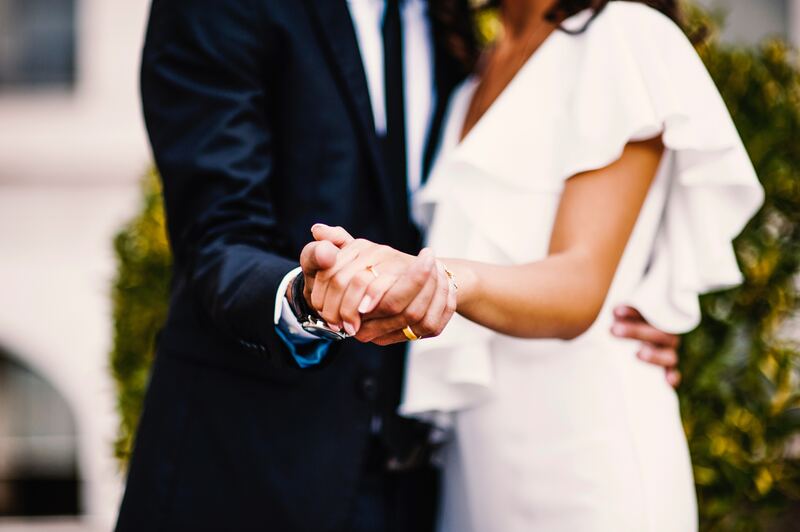 Once you’ve obtained your marriage certificate, visit the Social Security Administration to complete the replacement card application for a new card. You can then mail this application to your local SSA office, and expect to receive your new card within ten business days. The next stop for you is your local DMV, so you can replace your driver’s license with your new last name. Remember to check your local DMV’s site for the documents you will need for this. Often, they will require your old license, your marriage certificate, and your new social security card. But, be sure to make sure your state doesn’t require anything else. This is especially true for setting up a joint bank account with your new significant other. You will want to visit your local bank branch (some will offer this online, but it’s rare). Bring your new license, marriage certificate, and social security card with you. Don’t just change the name on your account though (or set up a new one) – remember also to order new checks with your new name, as well as replacement credit and debit cards. Some of these changes can be done online or over the phone and should be pretty easy – others may require more steps (such as your passport or the post office). Remember the general rule of thumb – if your original name is on the account, it probably needs to be changed, but start with these important ones and then work your way back (you can probably leave your Netflix account for later). Is there an easier way to change your name after marriage? Fortunately, there are online services emerging that can handle many of these steps for you. For example, HitchSwitch offers the ability for newlyweds to pay for different services that can handle some or all of the above steps, right from your computer. As opposed to having to compile the various forms you need and remember all of the necessary paperwork, HitchSwitch offers various levels of services depending on your need. You can choose the lower cost Print At Home option, which compiles all the needed forms for you after filling out their info form. They also offer full-service experiences that will complete forms for you and send them to you completed and ready for mailing, just needing your signature. There’s even a premium service that gives you a name change consultant to help with the process.